Seafood in a bag is becoming a new theme in restaurants around the Cleveland area. Put piping hot seafood in a bag, add some Cajun spices, give it a shake, and enjoy a hot, tasty and wonderfully messy meal. In our bag, however, we have something a little different. We have an Air Conditioning condenser in a bag. Now, we’re not trying to compete with the New Age restaurants in town. 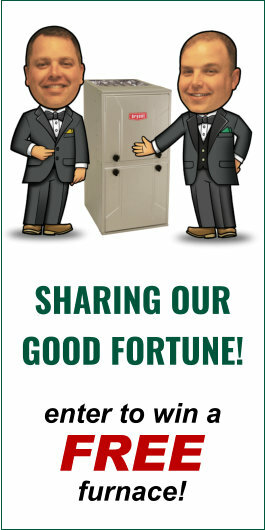 What we are accomplishing is keeping a customer’s home spotless. This particular condenser was perched on a roof of a half million dollar townhouse. In order to get it out of the home while keeping the carpet spotless required our usual floor protection methods, plus some added security. In this case we placed it in three heavy duty plastic construction bags. 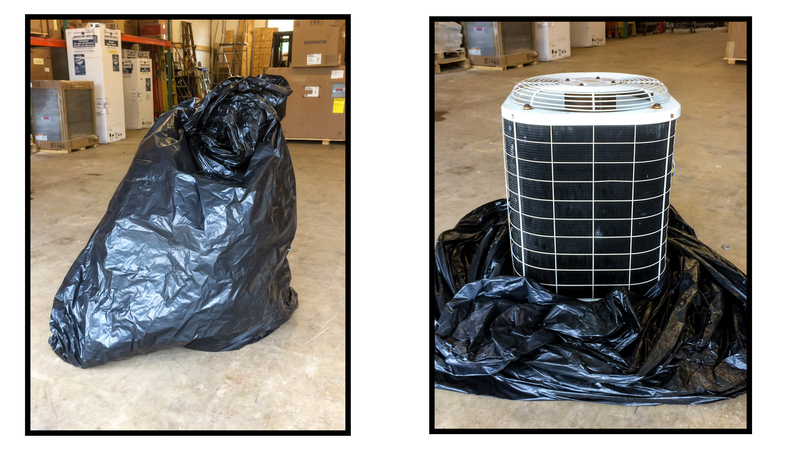 Imagine that for a moment: our install crew literally picked this heavy condenser up by hand three times to place it in the three bags. Mission accomplished. The condenser made it out of the townhouse without incident. The job site was left clean. The air conditioning was doing it’s job on a 90° day. Out of the norm, over the top precaution? No. We give this level of attention to detail to every jobsite our crew steps onto. So, when interviewing a contractor to replace your heating, air conditioner or boiler just remember there’s more to awarding a job based on price. When you hire Verne & Ellsworth Hann your hiring a reputable, well qualified company that takes its approach to any job to the next level.